Mario Goisis is the director of Doctor’s Equipe, a group of 9 clinics and medical offices in Italy. He obtained his MD at Milan University. In 1999. He is Certified in Maxillofacial Surgery. Dr. Goisis is often called upon by National and International medical and scientific groups to inform and teach doctors on the recent advances in medical and aesthetic cosmetic correction. As an invited speaker, he has lectured extensively in Europe and America. In recent years Dr. Goisis has lectured in Europe and in the United States about regenerative medicine and in aesthetic invasive and non invasive procedures. 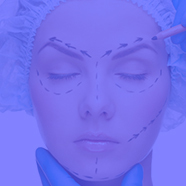 He has patented many instruments for aesthetic, reconstructive and regenerative treatments. He has written scientific articles about aesthetic medicine and surgery for American and European journals. Regarding aesthetic and regenerative medicine techniques, he has more than 15 years of experience.